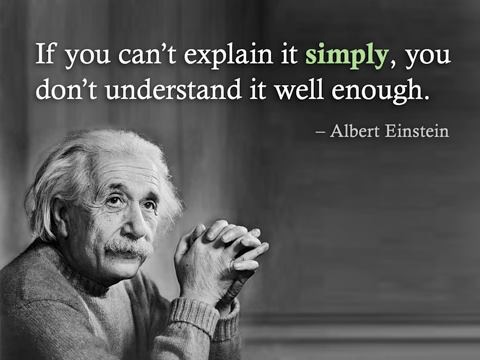 Given the complexity of the markets, products, and expanding levels of technology at Comtrol, we believe firmly in the words of Albert Einstein, “If you can’t explain it simply, you don’t understand it well enough.” This mentality, taken from one of the smartest men to live has led Comtrol to create a new type of data sheet: one that distills the complexity of a RocketLinx Power over Ethernet switch down to five key features. As the number of network connected devices continues to increase exponentially, an uninterruptible network continues to get more valuable. Without power, you have no network – without a network you may as well have no devices! While there are many methods a system can employ to create redundancy, the base of redundancy often relies on three letters, U–P–S (Uninterruptible Power Supply). Regardless of the electrical chaos that may occur in every area around a system, the battery backup UPS maintains power to the parts of the system that need it most. If you plan to keep a series of PoE devices alive on a UPS, Comtrol’s RocketLinx switches have two key features that can help keep your UPS running like the Energizer Bunny®. Before we get started: Where are the DC Power inputs on Comtrol’s Power over Ethernet switches? Most of Comtrol’s PoE switches support redundant DC power inputs (accepting various input voltages depending on model, but shown with +48VDC here) via screw terminal connectors as shown below. Taking some artistic liberties, you can see how two power supplies could be wired up! PoE benefits that you rarely hear about: What do these mean for your next IP surveillance project? As a security project integrator, you find yourself in the beginning stages of a surveillance project and you have determined that using IP cameras are the way to go. You sat down with your customer to identify all the security needs, consider what types of IP cameras to use, determine where best to place them, study and select the most feature-rich and easy-to-use VMS (Video Management Software)…and you are ready to go! Now somewhere in this grossly oversimplified scenario, you and your customer have decided to use PoE powered cameras to make for an easier, more flexible and cost-effective deployment. No doubt both of you have read some of the information floating around the web that commends the cost saving benefits of deploying a PoE powered network, or you have had past experiences installing PoE cameras and know well enough from those experiences. 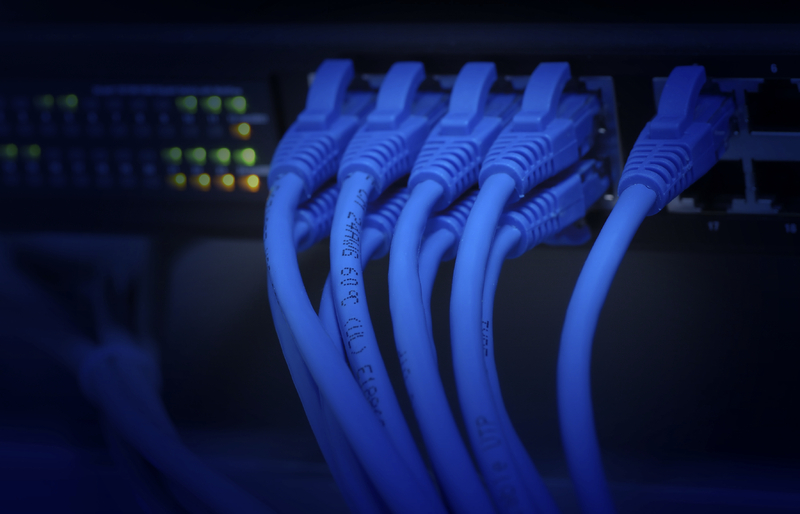 Here are some of the lesser known benefits to deploying a PoE network provided you use a managed switch to power your cameras, and more specifically a Comtrol RocketLinx® PoE switch. Your customer is thrilled with the increased resolution and all of the other advanced features the IP camera and VMS system are providing after the surveillance system is installed. You then get a call to hear that the VMS has sent an email alert saying one of the cameras is down. Let’s say this isn’t your first rodeo, and you know that the VMS you selected will proactively sever the data connection and reconnect in the hopes that it will restore a good connection with the camera. That did not work. Not to worry, you are a bit more tech savvy and have learned that you can send a reboot command to your IP camera via FTP; however, that too does not work. Rebooting via FTP fails because using this method requires a communication link with the camera. During camera failure a link may not be established, therefore leaving FTP communication impossible. Now what? You quickly dispatch a tech who drives for a half hour or more, climbs a ladder, pulls and then reinserts the PoE cable on the camera, and the system is operational again. Crisis averted – but how much money did you just spend sending out that tech? When a camera is completely non-functioning, reboot methods that rely solely on data communication (VMS and FTP) may not always work. In these cases, the most effective method may be to cut the power, just as a tech would after yanking the PoE cord. How can you avoid sending that tech to cycle power? You can do the same thing with Comtrol’s managed switches remotely. All of our managed RocketLinx PoE switches give you the ability to either manually or automatically cycle the PoE power per port. When the PoE power is cycled on a camera it acts as if you just physically unplugged the camera. The camera completely starts over and refreshes itself, much like holding down the power button on your PC when your initial attempts of pressing CTRL + ALT + DELETE while cussing has proved fruitless. To cycle the PoE power through our switches per port, all you need to do is log into our switch via the simple web interface, scroll down to the ‘Power over Ethernet’ menu, open the ‘PoE Control’ menu and toggle the switch from ‘Enable’ to ‘Disable.’ That will manually cycle the power to the camera or device connected to that port. Or better yet, you can set Comtrol’s switches to do this automatically. You will also notice in the ‘PoE Control’ menu that there is a PD status detection menu. To enable this function when you are creating your network, be sure to put the specific IP address of your camera in the ‘PD Status’ window and set your cycle time to tell the switch how often you want it to check to see if the camera is “alive.” Hit ‘Apply’ and ‘Save settings to flash’ and you are ready to go. Most basically an “alive check” is just the switch pinging the camera. If no reply is sent back after three tries, it will automatically try to reboot the device by cycling the PoE power on that given port. Additionally, you can configure the switch to send you an email stating that it rebooted a particular port (this process will be explained in a future post), or and or be configured with the internal dry contact relay to trigger an event at a local alarm panel upon camera failure. Now there are some instances where a camera can be pinged and it’s not sending video. This automatic feature will not attempt to reboot the camera. In this case it’s likely one of the other fail-safes within the VMS would have caught and corrected that initially, or you will have to still toggle the port power via the manual method outlined above. If none of this works, then it’s time to send out the tech! However, simply utilizing our switches’ ability to cycle the PoE power remotely in your next deployment could more than make up for the cost of sending out a tech once to do the same thing manually. As public transportation is becoming more popular in North America, following successful models used in foreign transportation systems can help guide our decisions and processes concerning public safety initiatives. Adding surveillance to improve the safety of public transportation is one such example. 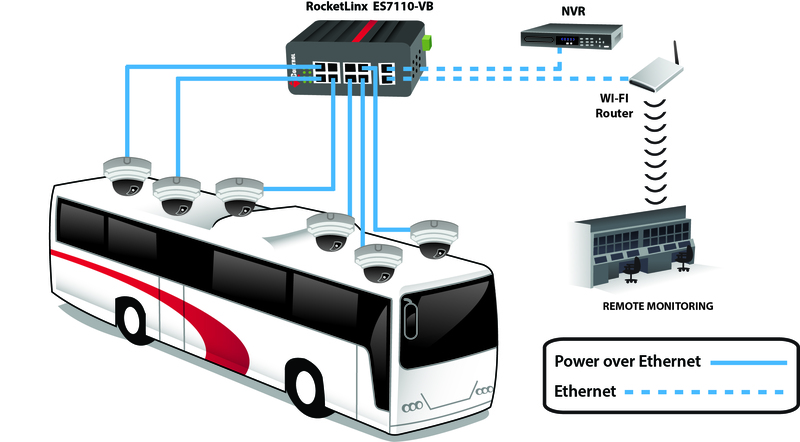 A European bus company was looking for an industrial Power over Ethernet (PoE) switch to connect critical components of its mobile security system. Installations on the bus included six security cameras, a network video recorded (NVR) and a Wi-Fi router, that all required communication and power. Devices used in transportation surveillance systems such as on buses or trains have a unique set of requirements and specifications that are crucial to operability and efficiency. Devices must be compact and rugged to maximize available space, reduce crowding and survive extreme temperature conditions and harsh environments. Comtrol’s RocketLinx® ES7110-VB (voltage boost) switch is used in this security configuration to ensure quality system performance and to meet the system specifications. As cameras send data and video to the NVR, it is transferred wirelessly from the bus to a remote monitoring room via the Wi-Fi router. The RocketLinx ES7110-VB has eight 10/100BASE-TX PoE injector ports for directly powering remote equipment and reducing wiring and installation costs, and two Gigabit uplink ports for megapixel video transmission and high-quality streaming data and video. Additionally, the switch provides a 12/24VDC power input boost to 48VDC, eliminating the need for a separate power supply or voltage converter to conserve space and cost. Featuring a DIN rail mount and measuring less than two inches in width, the ES7110-VB works well with limited space and other equipment placement in a surveillance system. Dual redundant power independent power inputs for potential power loss enables a backup power supply to compensate for loss of main power and maintain camera operation. The rugged IP30 enclosure protects the switch from vibration and shock, while the -25° to +60°C operating temperature allows for installation in a variety of environments. Comtrol’s RocketLinx Power over Ethernet switches are engineered for industrial applications such as IP video surveillance or wireless broadband, where the power source is not conveniently located. With rugged, drip-proof housings, redundant power inputs and performance command-line interfaces, these PoE switches provide reliable networking solutions. With both managed and unmanaged models available, the RocketLinx ES series of switches provide cost-effective networking solutions delivering the industry’s best rugged Ethernet switch technologies.